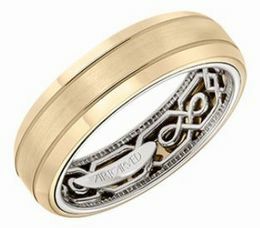 An ArtCarved Wedding Band is a Cherished, Beautiful and Traditional Wedding Ring for both the Bride and Groom. The Perfect Token of your lasting Affection is an ArtCarved Engagement Ring, and Diamond Anniversary Band. Men and Women Have Enjoyed the Craftsmanship of ArtCarved Wedding Rings for the over a Century. Your Promise of Marriage is Uniquely Displayed as is Your Exceptional Good Taste when You Exchange ArtCarved Wedding Bands. 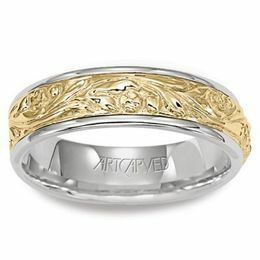 Founded by J.R. Wood & Sons in 1850, ArtCarved has a heritage of skilled artistry designing elegant wedding bands from the traditional to the exquisite. Capturing the hearts of loving couples since the Victorian Era. Today ArtCarved Designer Artisans still enchant the bride and groom with the enduring beauty of Diamond Engagement Rings, Anniversary and Wedding Bands. With ArtCarved Designer's unequaled experience celebrating love and marriage, ArtCarved designers continue to impress by presenting stunning wedding bands crafted with the impeccable attention to detail. 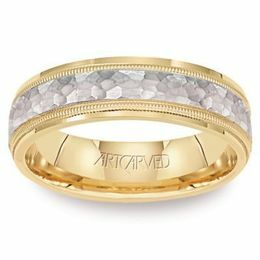 Beautifully designed, fine bridal jewelry from ArtCarved is an absolute treasure when you give or receive an exquisitely styled diamond engagement ring for the bride-to-be, a handsome, extraordinary wedding band for the groom-to-be, or an anniversary celebration of your everlasting commitment. 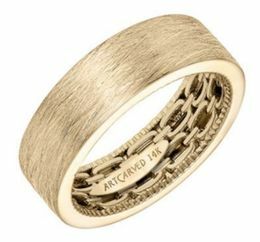 ArtCarved Rings are styled in Classic, Contemporary and Vintage styles and have been celebrated for over 150 years. New young couples can find the perfect ring within their budget to begin their lives together and lasting couples who desire high-end luxury jewelry will find their heart's desire in an ArtCarved Wedding Band and Anniversary Ring. Create Memories of Love. Give the Gift of an Elegant ArtCarved Diamond, Gold or Platinum Ring. For over one-and-a-half centuries ArtCarved Jewelers have been pleasing brides, groom and happy couples the world over. Our popular and valuable acclaimed wedding bands are continuously sought after by men and women alike. People who treasure giving the gift of beautiful fine jewelry rings to celebrate special occasions appreciate the timeless designs and exceptional quality of ArtCarved fine jewelry and rings. 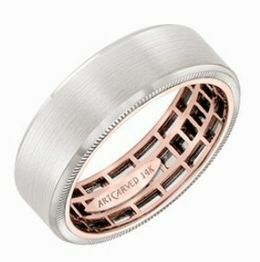 ArtCarved Offers an Extensive Collection of His and Her Wedding Bands. Explore Our Display of Timeless to Modern Ring Designs to Find Your Perfect Match. 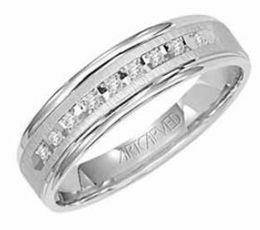 ArtCarved wedding bands are designed for a comfortable fit and comfortable wear ability. As you browse the romantic and dashing styles of wedding bands, you see that beauty is obviously attended to by the ArtCarved craftsmen. Comfortable fit is also a priority when ArtCarved artisans design their bands. Wedding and anniversary bands are available wrapped in glittering diamonds, studded in a pattern of diamonds, hammered, textured, two-tone gold, scrollwork, brushed precious metal, platinum, diamond studded, splint shank, rope, twisted, etched, swirled, hefty weight, or thin and delicate. 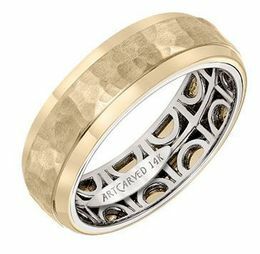 Whatever your personal style or preference you will find your special wedding ring, men's band and anniversary band with in the gorgeous selection her from ArtCarved. * ArtCarved Rings and Bands Wearability and Comfort are a Priority. * ArtCarved Anniversary Rings and Bands Wrapped in Sparkling Diamonds. * ArtCarved Wedding Rings and Bands Hammered, Brushed and Textured Styles. 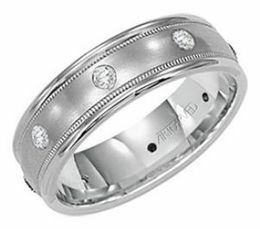 * ArtCarved Wedding Rings and Bands Diamond Studded. 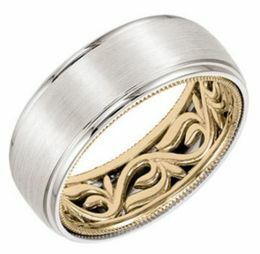 * ArtCarved Wedding Rings and Bands in Gold and Platinum. * ArtCarved Wedding Rings and Bands from Thick and Heavy to Thin and Delicate. 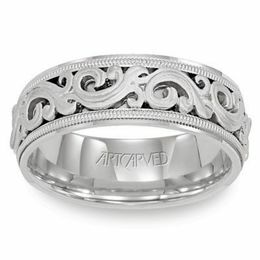 * ArtCarved Wedding Rings and Bands with Etching and Scrollwork. * ArtCarved Wedding Rings and Bands in Large and Small Sizes and Styles. The Rich Tradition of Investing in an ArtCarved Diamond Ring and Wedding Band is Attractive to Smart Millennials Who Do their Research. Our dear millennial generation is learning the value of owning a treasure of ArtCarved Fine Jewelery Rings. The rich tradition of investing in an ArtCarved diamond ring or wedding band now attracts our dear millennial generation whose appreciation of impeccably crafted wedding bands has been inspired by ArtCarved's gleaming selection of wedding and anniversary bands. ArtCarved has consistently delivered the elegant styles and exceptional quality expected by generations of families. The popularity of an ArtCarved wedding band, diamond anniversary band or engagement ring is well deserved, and the new generations are investing in it's value. The Most Meaningful of Occasions is a Reasons to Present the Gift of an ArtCarved Diamond, Gold, and Platinum Ring or Band. Agelessly Designed, ArtCarved Rings Last a Lifetime and Beyond. When you choose an ArtCarved Diamond Ring, Wedding Band or Anniversary Band, you are creating the memories of a lifetime. Celebrate the magical day that happens only once, like that landmark anniversary, special occasion, or exciting holiday. The gift of fine ArtCarved fine designer jewelry is always appropriate. Wedding, anniversary or just because, ArtCarved diamond rings and gold and diamond bands are timeless heirlooms. 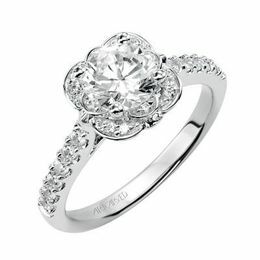 The value and craftsmanship displayed in ArtCarved diamond rings and bands have given ArtCarved a strong reputation as a fine bridal jewelry leader in the hearts and minds of families and retailers alike. * ArtCarved Diamond Engagement Rings. 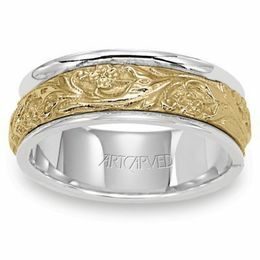 * ArtCarved Wedding Bands for Men and Women. * ArtCarved Began the Tradition of Exchanging Wedding Rings in 1941. * ArtCarved Wedding Bands are Popular with Mellennials. * ArtCarved Has Been Designing Fine Jewelry Rings Over 150 years. * ArtCarved Wedding Bands are Crafted in Handsome Textures. * ArtCarved Offers Extensive Styles of Wedding Bands, From Subtle Elegance to Striking Stunners. 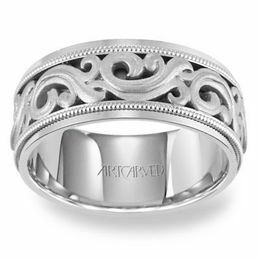 A BIT OF ARTCARVED TRIVIA: ArtCarved Began the Tradition of Men and Women Exchanging Wedding Bands Around the World. In the 1940's, during WWII, the production of jewelry was ceased by congress to redistribute metals for the war. ArtCarved became the only jewelry brand allowed to continue making wedding rings. We popularized the dual ring ceremony, where each married person receives a ring to commemorate their love. Thus, began a tradition of rings being exchanged as a sign of enduring love and commitment - a tradition that continues to this day, around the world. Receive, or Give, the Gift of an ArtCarved Diamond Engagement Ring and Wedding Band. Enjoy the Tradition of Love and Experience. Propose the Promise of Marriage and Thrill Your Intended when You Present an ArtCarved Diamond Engagement Ring. Explore the unsurpassed selection of engagement rings and wedding bands offered by the designers at ArtCarved. Choose the perfect halo setting, solitaire, or diamond studded setting to mount your forever diamond. The sparkling ArtCarved diamond engagement rings are the perfect match to the perfect ArtCarved wedding band. Enjoy the thrill of owning a bridal set perfectly matched just like you and your loved one. ArtCarved has designed fine jewelry to fit personal styles for generation after generation. 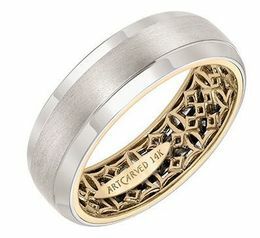 ArtCarved Jewelry Designers understand what inspires consumers who invest in an ArtCarved ring. This long and rich tradition of understanding our consumer's lives has, once again, been passed down from our exceptional, long history of pleasing the tastes of the most demanding, to the most demure of fine jewelry buyers of diamond engagement rings, wedding rings, bridal sets and anniversary bands. The superior quality expected in beautiful bride and groom ring designs make ArtCarved a beloved designer of special occasion rings. Tradition, authenticity, value and craftsmanship are displayed in our beautiful wedding ring collections. When ArtCarved wedding rings are exchanged you experience the splendor of being a part of an elegant and historic tradition. 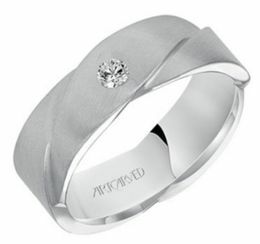 Whatever Your Personal Style You Will Find the Ring for Your Special Occasion in ArtCarved's Selection of His and Her Wedding Rings and Anniversary Bands. Visit Kranich’s today and slip an ArtCarved ring on her finger, or his! Celebrate Life's Special Occasions. Chat Now and Visit Kranichs Jewelers Today and See the Respected ArtCarved Wedding Ring and Engagement Ring Collections in Altoona, Johnstown, or State College PA!